Although Ester Blenda Nordström's father was a successful business director she refused to act as a nice girl. She lived in a time when women wore long dresses and were not allowed to vote. She made a career as a journalist at Svenska Dagbladet, she rode her motorbike to work, dressed in pants whilst chain smoking, she travelled around the world with a gun in her bag. Do not miss the exhibition about her life. Opening may 24th 2019. For guided tours in English, please contact us. The book was awarded the August prize in 2017 and has sold more than 100 000 copies. 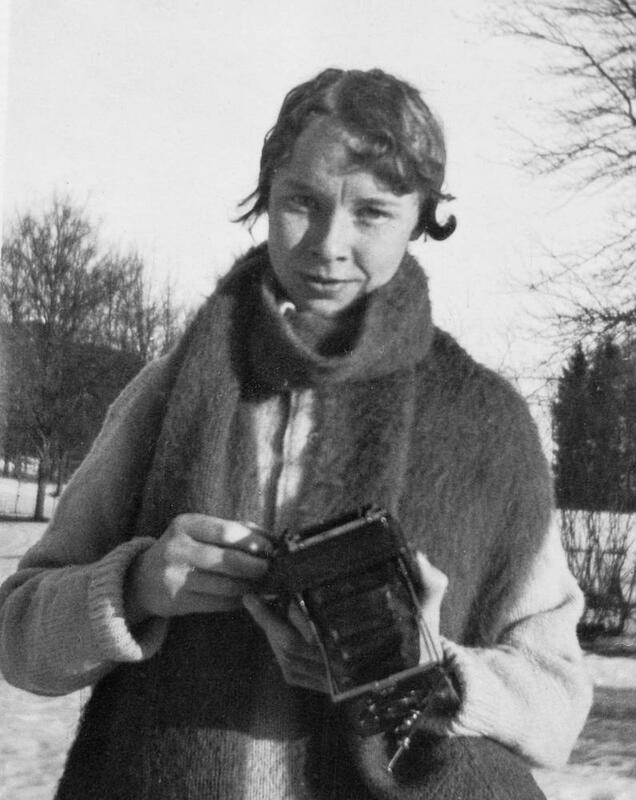 Despite being praised and famous during her lifetime, the star reporter Ester Blenda Nordström was forgotten for many years. But times would change and Anna Hylander's documentary "Ester Blenda" was released 2016. 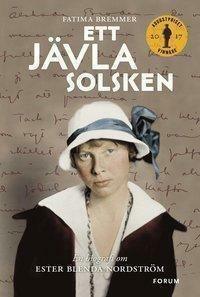 The year after Fatima Bremmer's biografy "Ett jävla solsken" ("A damn sunshine") was published. Now, two years later Skarhults castle is very proud to present the exhibition about her life, with photograps, letters and personal items, many of them shown for the very first time. The story about Ester Blenda Nordström is rather unbelieveble. She was born 1891 and was around 20 when she conquered Stockholm's journalistic world where female journalists are barely welcome. 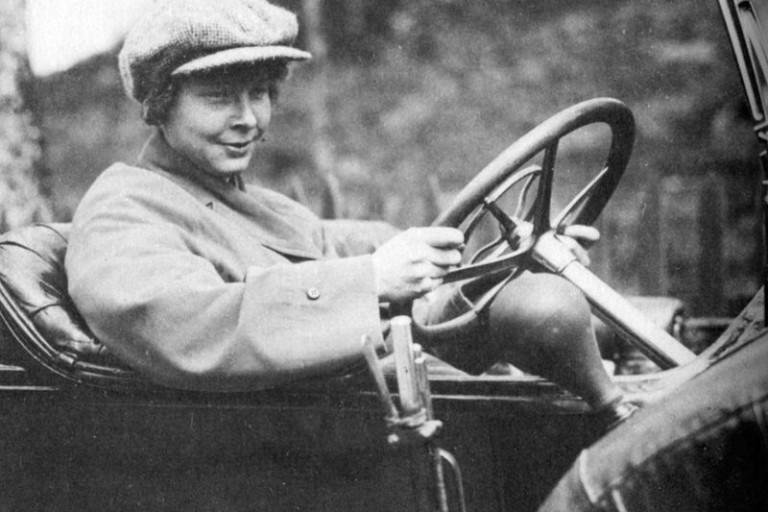 In 1914 she dresses up as a maid and writes history as Sweden's first undercover journalist. She is part of overthrowing a government, fights for women's right to vote, spends 6 months in Lapland with Sami and takes a job as a nomad teacher to spread knowledge about the people in the north. She saves entire villages from starvation during the Finnish civil war, travels with a minimal budget in the traces of the America-emigrants, crossing the Andes on a mule and travelling amongst bears in Siberia. Ester Blenda Nordström in action. The exhibition is being produced in cooperation with the author Fatima Bremmer who will write the texts for the exhibition and movie director Anna Hylander. Anna Hylander is a relative to Ester Blenda as her mother is the grandchild to Ester Blenda Nordström's sister Agda Nordström. "It is completely unique to have, through photography, such a well-documented life despite being a woman who lived and worked 100 years ago" says Anna Hylander. The latter will present pictures from a collection of close to 800 private photographs belonging to Ester Blenda's estate. Ester Blenda early understood the importance of creating her own journalistic persona as well as the strenght of the picture as a storytelling part of journalism. 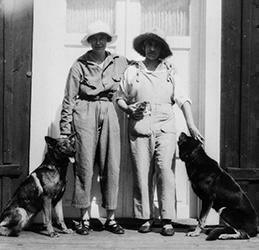 During the guided tours Skarhult's guides will put Ester Blenda Nordström in a contemporary women's historical context. 2019 is an important year to celebrate: The exhibition opens the 24th of May, on that same day it has been 100 years since the Swedish parliament approved women's right to vote. Ester Blenda Nordström and her life long secret love Carin Waern Frisell. Ester Blenda Nordström crosses four continents but will always return to Stockholm. But what appeals to her are not the yearning men that all seem to fall in love with her. It is rather her lifelong secret love Carin Frisell. "There are so many aspects of Ester Blenda's life" says project leader Alexandra von Schwerin. How many of us knew that she seems to have been an inspiration to Astrid Lindgren when creating her characters Pippi Longstocking and Madicken? 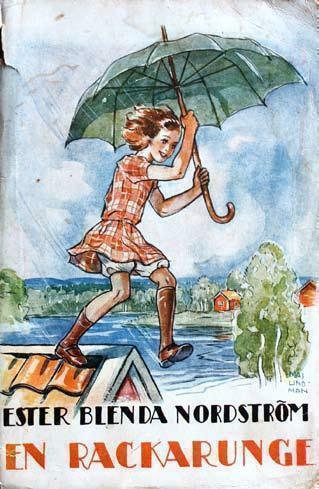 The book "En rackarunge" ("a scamp") tells the story about the naughty girl Ann-Mari, a different heroine and is published 1919, 50 years before Astrid Lindgren's book "Madicken" with a similar cover. The book is a success and Ester Blenda will write 4 more parts in the series. During the exhibition we will offer lectures about the first part of the 20th century. Examples of themes are; lesbian love, female adventurers, the suffragettes, female journalists and heroines from children's books. Please note that the lectures will be held in Swedish. Welcome to a new season here at Skarhult castle!